Character and guts. 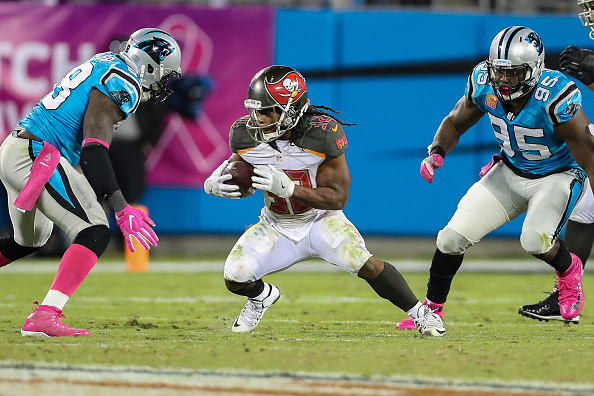 Monday night in Carolina wasn’t pretty, but the Buccaneers were able to overcome a number of things as they finally were able to dispatch a division opponent to beat the Carolina Panthers 17-14 on prime time. People may say that without Cam Newton the Panthers are not the team, and while that’s true, this is still the same team that made it to the Super Bowl just eight months ago, and won 15 games last season in the regular season. 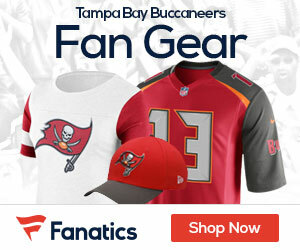 The Bucs were without a number of key players in the game, including Doug Martin, Gerald McCoy, Robert Ayers, Clinton McDonald, Luke Stocker, Charles Sims and Jacquies Smith. It didn’t matter, as they were able to overcome mistakes, including a couple very late in the game that would normally kill a young team, but some may look back at Monday as a coming of age for Tampa Bay. For those betting at us-online-casino.us, not many would have thought this team had what it took to overcome the defending NFC Champs on the road. Jacquizz Smith, a free agent running back, was able to go for over 100 yards, and they also had a defensive line that held the Panthers in check. A line that was playing with just one starter from opening day, which was just over a month ago. It was also good to see coach Dirk Koetter allow his team to throw with the game on the line, something they didn’t do earlier in the same quarter with the game on the line. Who can forget the coaches decision to run the ball on third and 9 at the Carolina 27 with four minutes left in a tie game. It clearly was a bail out, it didn’t work, and the kick allowed the Panthers another chance themselves to go down and win the game. But he was bailed out by his defense, a defense that had a coming out party against Derek Anderson and the Panthers offense as the game wore on. The interception in the end zone was a key play that kept the Panthers off the board, but maybe bigger was the drive after the late punt in which the Bucs D stepped up and forced Carolina to put it back with time to spare – enough time to go down and win the game. That’s when Koetter put it in the hands of Jameis Winston, and allowed him when needed to air it out, including a huge pass play on a 3rd down to Mike Evans, when everyone on the field knew where the ball was going. Winston deserves credit as well for not making mistakes on that game-winning drive, and knowing when to simply hand it off and get out of the way so the Bucs could get the necessary yards to kick the game-winning field goal. There’s no better way to get into a bye with a win, and give this young Bucs team all the credit in the world for doing it.